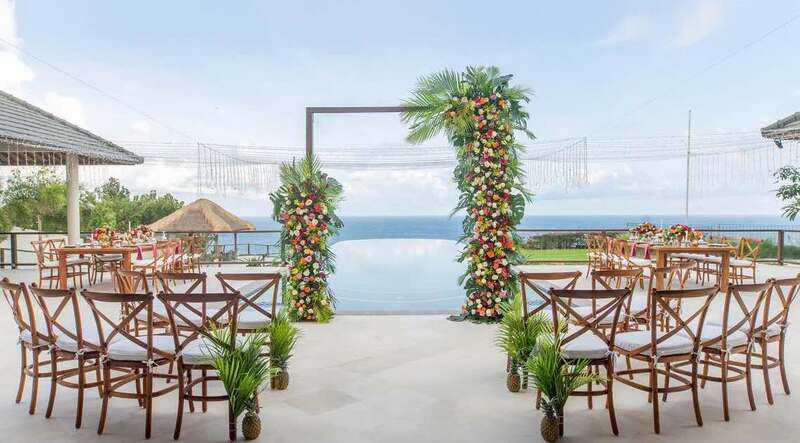 On the southernmost tip, of the beautiful island of Bali, lie’s the Bukit Peninsula; home to pristine white sand beaches and some stunning villas that make for the perfect Bali wedding venue. 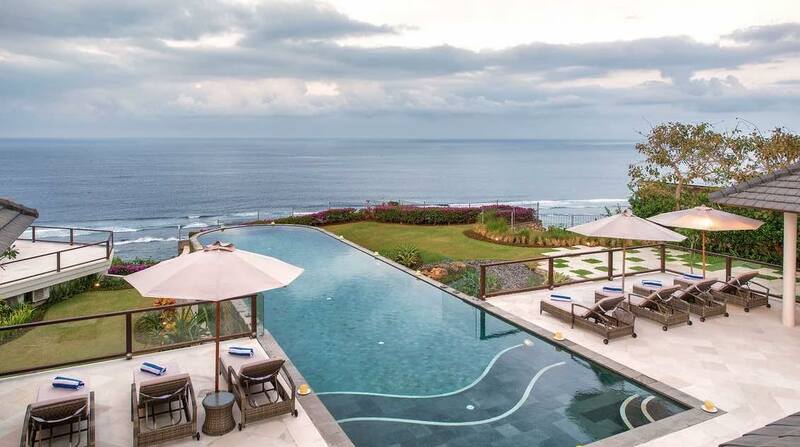 This is where you will find the stunning Villa Bali Agung. 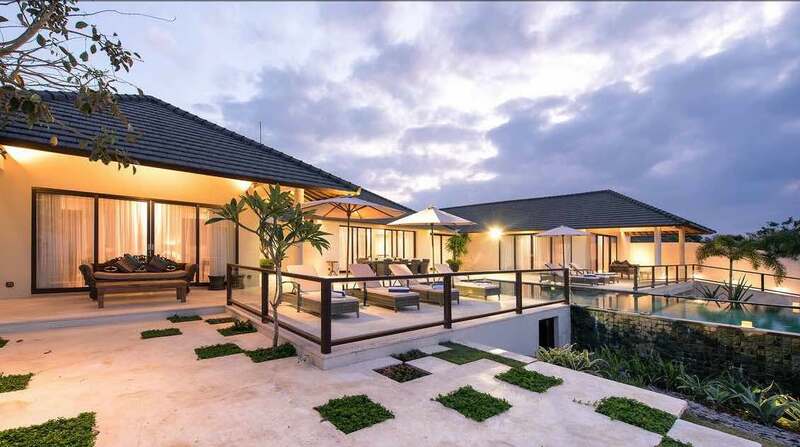 Villa Bale Agung is certainly something special and well worth consideration, if you are planning your dream Bali wedding. 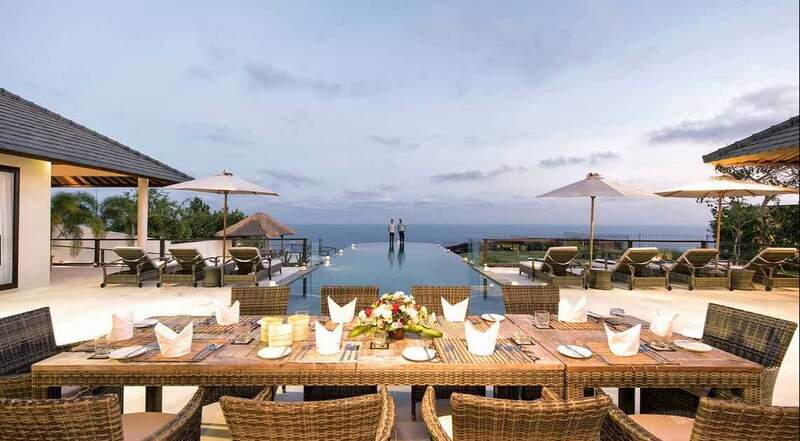 Villa Bale Agung’s perfect cliff-top location will provide you and your guests with the most beautiful of backdrops; the azure Indian Ocean. The perfect place for your gorgeous wedding photos not to mention the wedding ceremony & party! The villas vast manicured lawns are the perfect place for you to hold your special event; the area will lend itself to 140 guests for a cocktail styled gathering, or up to 50 guests seated, for a more formal and intimate wedding gathering. The villa also boasts a breathtaking infinity pool that stretches out toward the Indian Ocean that adds an amazing dynamic to the setting. 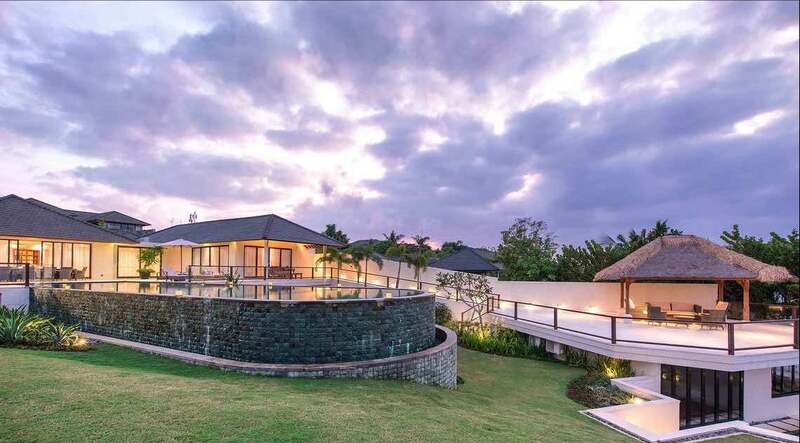 The villas expansive living areas are contemporary in design and fully air-conditioned throughout, providing ample space and comfort for your guests. The lounge is furnished with beautiful sofas and a separate media room is perfect for some relaxation time with state-of the-art entertainment systems and encased by a charming koi fish pond. 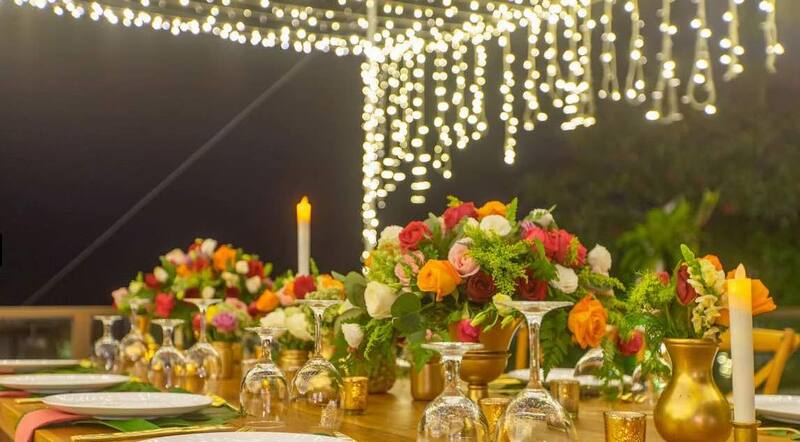 If you would like a formal dinner with close family and friends, maybe prior or after the wedding ceremony, a dining table comfortably seats 10 guests. The villas highly trained staff consisting of an in-house master chef and butlers will serve you like royalty. 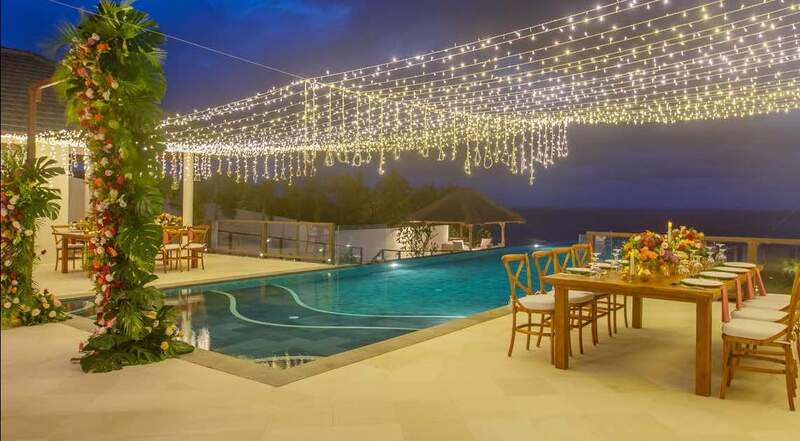 Should you be planning for a larger wedding event and intending to invite many guests, the adjoin Villa Saujana can also be rented in conjunction, with its 6 bedrooms, turning your wedding villa into an 11 bedroom villa. Whats more, the two villas combined will cater for up to a maximum of 280 guests and accommodation for up to sleep a minimum of 22 guests. Our wedding team will ensure your wedding is professionally organized right down to the finest details. This is your special day to enjoy with much loved family and friends and not to have any concerns in relation to the smooth running of the event. We will make sure every guest has an incredible experience and most importantly that you and your loved one focus on simply savouring the moment.